Pioneers in the industry, we offer epoxy pot hot repair services and high performance epoxy coating from India. We are the leading and prominent Service Provider of Epoxy Pot Hot Repair Services. 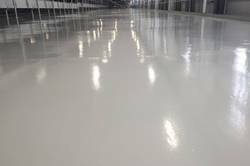 We are the leading and prominent Service Provider of High-Performance Epoxy Coating.